She pulled at my hand begging me to come out to the porch. As we walked outside my sweet little four-year granddaughter had given me a gift. Not just any gift, but a gift of her expression of love. 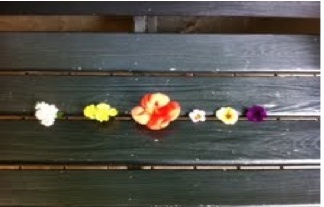 She had picked some flowers from the garden and carefully lined them up on the porch to look “beautiful” for me. This was a simple expression of thoughtfulness and love through the eyes of a four-year old. I smile as I think of that gift. I smile because it was done in love. I smile because she was thinking of me and I smile because I felt loved. Each of us needs those kind of gifts. Each of us have the ability to give those kinds of gifts to others. These are simple expressions that show we care about those around us. They don’t have to cost us much, sometimes just time and effort and making the choice to do it. Thoughtfulness takes time. It starts with getting to know those around you. Each of us have someone in our life that we, as everyday leaders, have been entrusted to influence. Whose life are you influencing right now? Have you taken the time to get to know those people, not just on a name basis, but really know them? If we take the time to learn about those around us, we gain new insights into them and their lives. We hear what they are dreaming about, we hear what they struggling with, sometimes we simply offer the gift of much-needed laughter. If we are intentional we have the opportunity to learn so much more than just a simple good morning and how are you! Even in our personal lives with our own family members, how often do we get so busy that we don’t know what is really going with them or what they are thinking? What about those that you work with or that work for you? How much do you know about them? How about our neighbors? When was the last time you took time for a cup of coffee to check on a friend? Are you the leader of a group? How much more would those who work for you thrive if you took time to invest in them? We all need to know that others care about us. Today, think of those in your life that you touch. Maybe there is someone you have meant to reach out to but simply haven’t taken the time. Don’t let another day pass, take the time today to do something thoughtful. Be thoughtful. Value another. It is an intentional way of life that can truly make a difference! Everyday leaders. Living a Life of Intention. Giving the gift of thoughtfulness. 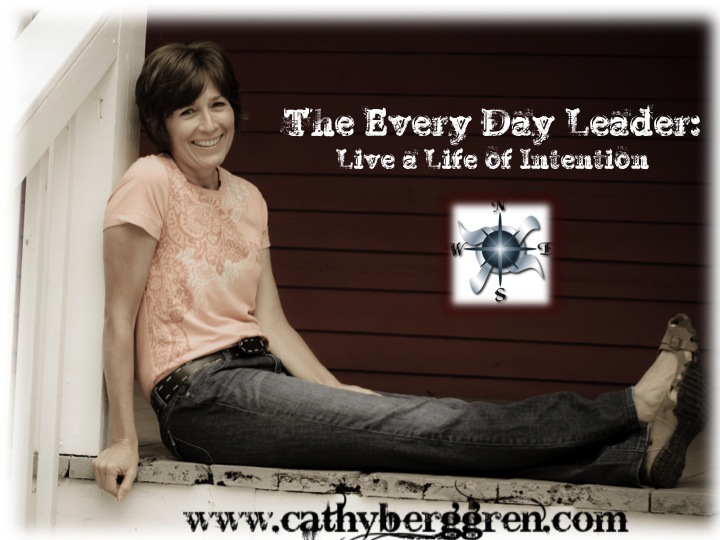 This entry was posted in leadership and tagged care, Cathy Berggren, Every Day Leader, leader, leadership, lives, managers, people, team leaders, thoughtfulness, thoughts by Cathy Berggren. Bookmark the permalink. Very true and that is when we have the fullest life. your writing made quite an interesting read. the life lived in love and selflessness is actually the life that will be pleasing to our Lord. more grace in Jesus name.